Splashing with friends, bobbing for balls, leaps into the water – what could be more fun than Dogwood’s very own doggie pool? Our in-ground bone shaped pool has a specially designed filtration system, slip-resistant surfacing, and 4 fountains for even more splashing fun! 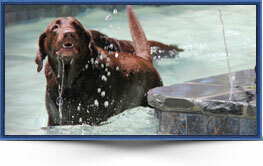 Our Dog Daycare guests can enjoy a pool activity while staying with us for the day or overnight. 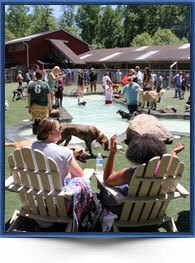 Or, consider renting our pool yard for your own puppy pool party! 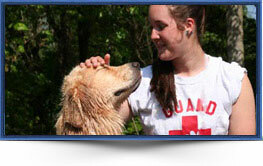 Pool rental is available seasonally on Saturdays and Sundays between 4 and 6 pm. 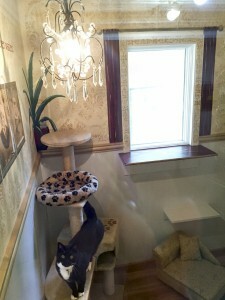 The cost for the 2-hour rental is $350 for 15 dogs or less; $500 for 16 to 30 dogs. 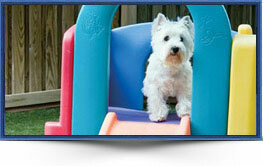 Price includes 1 Dogwood Lifeguard for every 15 dogs, set up, and clean up. To learn more about our pool, or to book your next pool party, call us at 410-798-4776 or email us at petlodging@dogwoodacres.com. For more information, please download the Pool Rental Contract and Pool Waiver forms.